Today marks a special day for us, the Revive Adserver project team. Exactly 5 years ago, we announced to the world that we took what was already the world’s most popular, free, open source, ad server software, to bring it forward into the future. We called it Revive Adserver. Now, on the fifth anniversary of that memorable day, we’re proud of what we’ve achieved, and excited about the future of the project. We’ve heard from many people around the world how the Revive Adserver software enables them to display ads on their sites, in their apps, and on their video content. At at time when it seems that ad tech is more and more dominated by huge players, we feel it is important that there is an independent, open source, and free, alternative. That doesn’t mean Revive Adserver is just for small operations. As a matter of fact, we’ve seen sites running the software to display billions of ads per month. 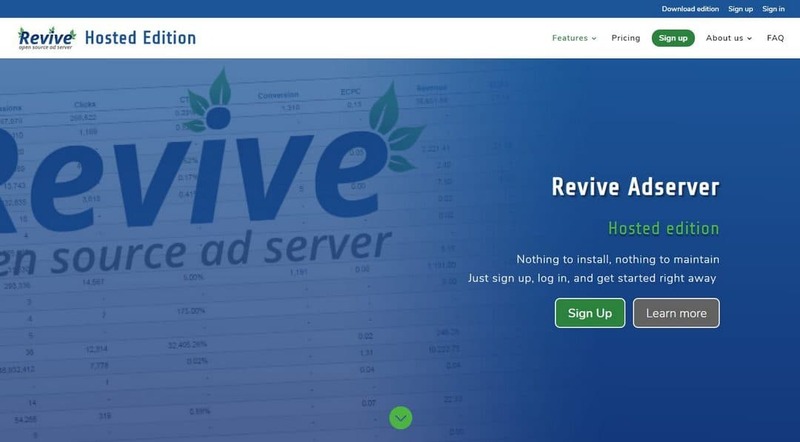 Revive Adserver has always been software that anyone can download, free of charge, in order to put it on their own server. Or to get a hosting company to put it on theirs. However, we’ve also heard time and time again, from people eager to use Revive Adserver, yet unable to install and run it themselves. There could be several reasons: lack of time, lack of skills, and so on. We’re working on offering a Hosted edition of the system in the last quarter of 2018. If there is sufficient interest, we’ll be able to operate a low cost, high performance hosting platform, in close collaboration with some of our most trusted partners. Users of the Hosted edition will benefit from rock solid stability, lightning fast ad serving, at very reasonable rates. Starting today, you can sign up for a waiting list for the Hosted edition of Revive Adserver. There is no obligation by doing so, all it means is that you’re expressing in interested in this exciting new service, operated by the same people that brought you the downloadable version. We’re excited about this project and can’t wait to find out if the community is equally excited.